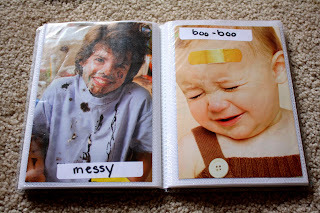 i found this darling Baby Face Photo Quilt Playmat on GeniusBabies.com. it almost makes me wish that I had another baby just so i could buy one! (not ready to give up my full night’s sleep, i just got it back!) right now they are on sale for $19.95, marked down from $29.95. it’s 4 square feet, crinkles, has a safe mirror and links on it to clip toys to. here's a pic from their website. when Bear was little, he used to love those baby face books they make. 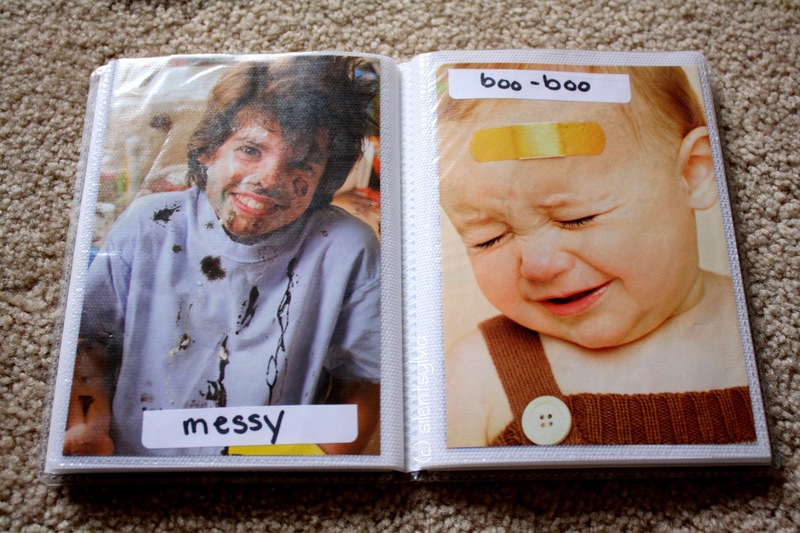 i bought some inexpensive mini photo albums from Wal-Mart and made my own word books for baby. filled them with pictures cut out of magazines. 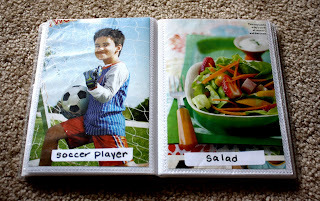 he loved them so much i made more with other pictures of everyday things (cars, food, household items, etc). 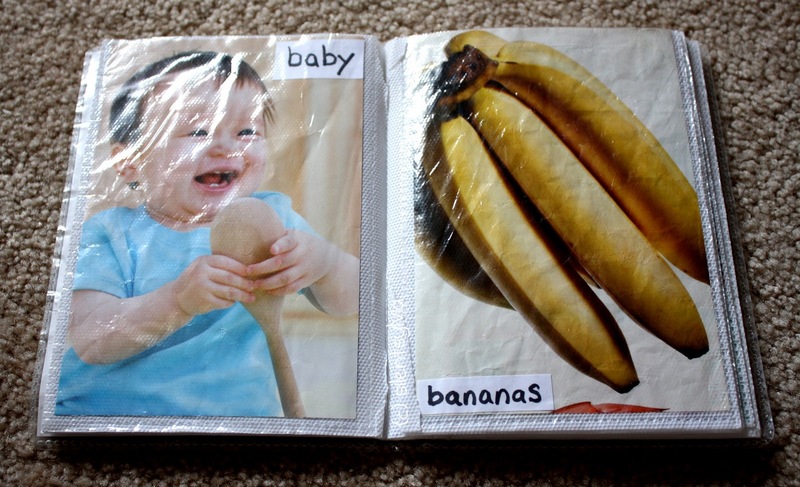 then i used sticky labels to write out the item’s name for some exposure to written words (which helps baby when they get older). he loved them sooo much…if you look closely, you’ll see that the top right one is quite wrinkled and a bit torn. another fun thing that he enjoyed was when i put images of babies on an empty oatmeal container. i “laminated” it with clear contact paper. he would look at it and turn it over in his hands. when he started to cRaWL, he would even cHaSE it across the floor. right now it’s buried in a box of baby stuff somewhere….will i ever need to dig that stuff out again? hmMMm…..